Many NHS Trusts and NHS Foundation Trusts now offer private healthcare services. Many have created a separate logo and visual style for these services which is allowed, as these are private, not NHS, services. As these private services are usually delivered in NHS facilities, it would be virtually impossible to avoid patients seeing the NHS Identity when interacting with these services. 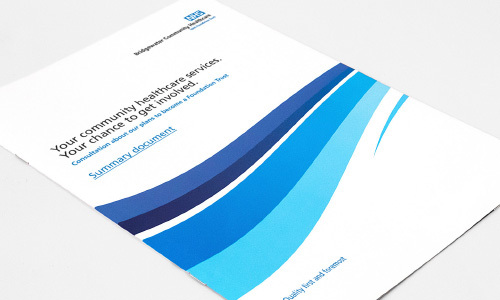 Therefore, Trusts are allowed to use their NHS organisation’s logo on communications specifically about their NHS private healthcare services, to show patients who provides the service. The NHS organisational logo must be placed in a supporting position with a strapline such as ‘Services provided by’. Trusts that offer private healthcare services should market and promote their private healthcare services completely separately. They should not market or promote these services within their NHS communications to patients and the public (e.g. NHS appointment letters, NHS test results, NHS Foundation Trust membership communications etc.). 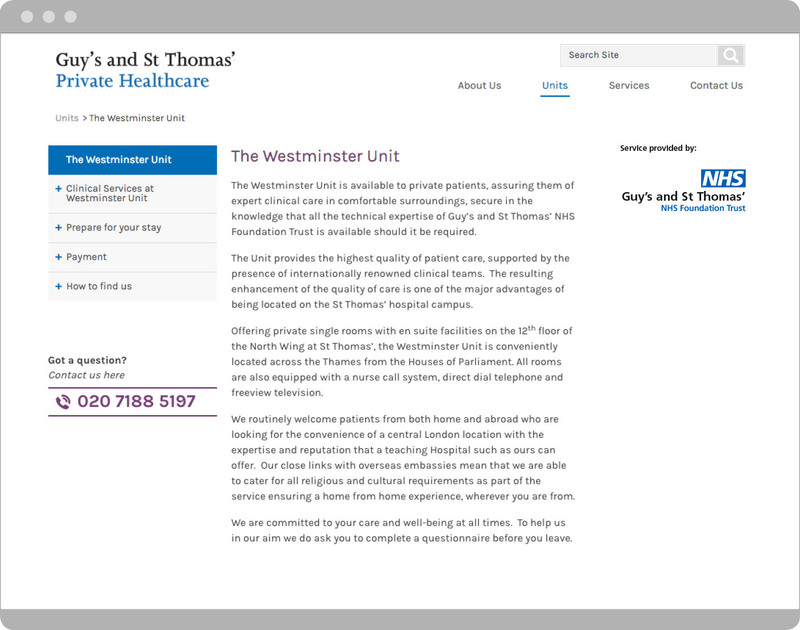 If the Trust chooses to use their organisational website to house pages about their private services, then it must be in a clearly differentiated section. All communications must make it clear that patients have to pay for NHS private healthcare services. Some of the examples featured across this site may have been amended to illustrate how the guidelines should be applied. To find FAQs related to this example visit the ‘FAQs and help’ page. Please send your best practice examples to the NHS Identity team to share with others. Just ensure you have the necessary copyright and approvals first.